Eindhoven is the fifth-largest city and a municipality of the Netherlands. It had a population of 229,126 in 2018, making it the largest city in the province of North Brabant, although 's-Hertogenbosch is its capital. Eindhoven was originally located at the confluence of the Dommel and Gender. The Deutsche Tourenwagen Masters is a touring car series sanctioned by DMSB and ITR who has been an affiliation of FIA since 1976 and 2003 respectively. Deutsche Tourenwagen Masters cars use a silhouette racing car based on a mass-produced road car, and is based in Germany, but also with rounds elsewhere in Europe. Christijan is the son of former rallycross ace and Porsche 911 Carrera campaigner André Albers, who won the 1979 Dutch International Rallycross Championship (GT Division). They are not related to their compatriot Marcel Albers, who was killed in a British Formula Three accident at Thruxton in 1992. Rallycross is a form of sprint style automobile racing, held on a closed mixed-surface racing circuit, with modified production or specially built road cars, similar to the World Rally Cars. It is mainly popular in the Nordic countries, the Netherlands, Belgium, France and Great Britain. An inexpensive, entry level type of rallycross is the Swedish folkrace or its Norwegian counterpart, the so-called bilcross. The folkrace is most popular in Finland where it was founded back in late 60's. In Europe, rallycross can also refer to racing 1:8 scale off-road radio-controlled buggies. 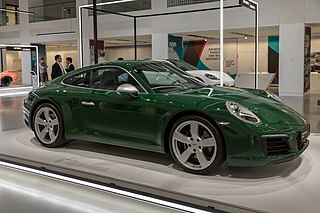 The Porsche 911 is a two-door, 2+2 high performance rear-engined sports car made since 1963 by Porsche AG of Stuttgart, Germany. It has a rear-mounted flat-six engine and all round independent suspension. It has undergone continuous development, though the basic concept has remained unchanged. The engines were air-cooled until the introduction of the Type 996 in 1998, with Porsche's "993" series, produced in model years 1994–1998, being the last of the air-cooled Porsches. Marcel Albers was a Dutch motor racing driver. Christijan is married to Liselore Kooijman. Their wedding took place on 11 November 2006 in Amsterdam. He resides in Monaco. Amsterdam is the capital city and most populous municipality of the Netherlands. Its status as the capital is mandated by the Constitution of the Netherlands, although it is not the seat of the government, which is The Hague. 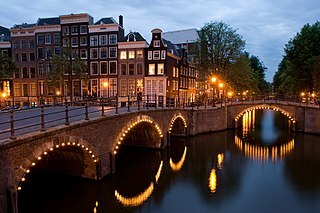 Amsterdam has a population of 854,047 within the city proper, 1,357,675 in the urban area and 2,410,960 in the metropolitan area. The city is located in the province of North Holland in the west of the country but is not its capital, which is Haarlem. The Amsterdam metropolitan area comprises much of the northern part of the Randstad, one of the larger conurbations in Europe, which has a population of approximately 8.1 million. Albers began kart racing at a young age, winning the Dutch National championship in 1997. That same year, he was crowned Formula Ford 1800 champion in both Netherlands and Belgium. He also participated in the Renault Megane Marlboro Masters series. In 1998, he moved up to the German Formula Three series, winning the championship in 1999 with six wins and ten poles. Kart racing or karting is a variant of motorsport road racing with small, open-wheel, four-wheeled vehicles called karts, go-karts, or gearbox/shifter karts depending on the design. They are usually raced on scaled-down circuits. Karting is commonly perceived as the stepping stone to the higher ranks of motorsports, with former Formula One champions such as Sebastian Vettel, Nico Rosberg, Ayrton Senna, Lewis Hamilton and Michael Schumacher having begun their careers in karting. Formula Ford is an entry-level class of single seater, open-wheel formula racing. The various championships held across the world form an important step for many prospective Formula One drivers. Formula Ford has traditionally been regarded as the first major stepping stone into formula racing after karting. The series typically sees professional career minded drivers enter alongside amateurs and enthusiasts. Success in Formula Ford can lead directly to other junior formulae such as a Formula Renault 2.0 or a Formula Three seat. In 2000, Albers raced in the International Formula 3000 championship as team-mate to Mark Webber. He failed to score a point, but team boss Paul Stoddart later signed him again. He also raced in European Formula Racing. The Formula 3000 International Championship was a motor racing series created by the Fédération Internationale de l'Automobile (FIA) in 1985 to become the final preparatory step for drivers hoping to enter the Formula One championship. Formula Two had become too expensive, and was dominated by works-run cars with factory engines; the hope was that Formula 3000 would offer quicker, cheaper, more open racing. The series began as an open specification, then tyres were standardized from 1986 onwards, followed by engines and chassis in 1996. The series ran annually until 2004, and was replaced in 2005 by the GP2 Series. Mark Alan Webber is an Australian former professional racing driver, who last competed in the FIA World Endurance Championship as a Porsche works driver in LMP1, in which he won the championship in 2015. Webber won nine Formula One Grands Prix and finished third in the championship in 2010, 2011 and 2013, all of which achieved while driving for Red Bull Racing. Paul Stoddart is an Australian millionaire airline magnate, and former owner of the Minardi Formula One racing team. He later took the Minardi brand into the Champ Car World Series after his purchase of a portion of CTE-HVM Racing which he renamed Minardi Team USA for 2007. Beginning in 2001, Albers raced in the Deutsche Tourenwagen Masters for Mercedes-Benz, and graduated from a privately run team to the works AMG outfit in 2003 after the departure from the series of Uwe Alzen. He was instantly a front-runner, finishing runner-up in 2003 with a season-high four wins, and challenging DTM veteran and multiple champion Bernd Schneider for the title all the way up to the final race. In 2004 he again challenged for the championship lead for the most of the season but eventually finished third. Mercedes-Benz is a German global automobile marque and a division of Daimler AG. The brand is known for luxury vehicles, buses, coaches, and trucks. The headquarters is in Stuttgart, Baden-Württemberg. The name first appeared in 1926 under Daimler-Benz. In 2018, Mercedes-Benz was the biggest selling premium vehicle brand in the world, having sold 2.31 million passenger cars. Uwe Alzen is a German racing driver specialised in touring car racing and sports car racing. Albers driving for Minardi at the 2005 Canadian Grand Prix. While racing in the DTM, Albers continued to be a test and reserve driver for Minardi's Formula One interests, and also drove the team's two-seater Formula One cars. In November 2004, he set the fastest time at a Misano di Gera d'Adda Minardi test session. He was chosen by the team to drive in the Formula One World Championship in 2005. In the 2005 United States Grand Prix he gained his first championship points with a fifth-place finish, in a race where only six drivers started. Albers driving the Midland M16 during the 2006 United States Grand Prix. On 31 October 2005 Albers was confirmed as Midland's first official Formula One driver. Midland, the renamed Jordan team, made their debut in the 2006 Formula One season. Albers started the 2006 season well, out-pacing Midland teammate Tiago Monteiro. However, during the first few races, Midland found themselves battling with the Super Aguri team, particularly Takuma Sato. At the 2006 San Marino Grand Prix, Albers found himself being crashed into by Yuji Ide and sent into a series of spectacular rolls. He was unharmed. Ide was reprimanded by the race stewards for his part in the incident. Ide also had his Super Licence revoked for severe dangerous driving. Albers driving at Silverstone after Spyker's purchase of the team. Albers driving for Spyker F1 at the 2007 British Grand Prix. After initial confusion over Albers's plans for 2007 after the takeover of MF1 by Spyker Cars, it was eventually confirmed that he would be driving for the Spyker F1 team in 2007. On 10 July 2007 he was released from his Spyker contract, due to a lack of sponsorship money, which would have compromised the team's development programme. Team owner Michiel Mol described it as "one of the toughest decisions of my career". His replacement for the 2007 European Grand Prix was former Spyker test driver Markus Winkelhock. Sakon Yamamoto then raced for Spyker for the rest of the year. Albers driving an Audi at Norisring in 2008. Christijan Albers returned to the DTM-series in December 2007 as the Dutchman was invited by the Audi-team of Futurecom TME for a week of testing in Jerez de la Frontera. He tested for this team again on the Mugello Circuit in early March. 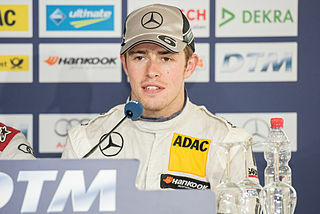 Albers is the Netherlands's most successful driver in the DTM series, finishing as runner-up in the 2003 championship. It was announced on 9 October 2008 that Albers would be racing with Audi Sport North America in the American Le Mans Series. He piloted the #1 R10 TDI, partnered with Emanuele Pirro at Laguna Seca, the ALMS final round. This was another step by Audi to bring youth to their Le Mans programs, following Marcel Fässler's two races in the R10. He finished this race in second place behind the #2 car from the same team. He moved into the Le Mans Series for the 2009 season, moving to the customer Audi team, run by Colin Kolles. † — Retired, but was classified as he completed 90% of the winner's race distance. † Did not finish the race, but was classified as he had completed more than 90% of the race distance. Kumar Ram Narain Karthikeyan is a racing driver who was the first Formula One driver from India. He has previously competed in A1GP, and the Le Mans Series. He made his Formula One debut in 2005 with the Jordan team, and was a Williams F1 test driver in 2006 and 2007. Like several other former F1 drivers, Karthikeyan moved to stock car racing and drove the #60 Safe Auto Insurance Company Toyota Tundra for Wyler Racing in the 2010 NASCAR Camping World Truck Series. In 2011 he returned to F1 with the HRT team, continued with the team in 2012 and was expected to drive for them in the 2013 season as well. However, HRT was not included in the FIA's 2013 entry list, and thus Karthikeyan was left without a drive. In 2013, Karthikeyan raced in the Auto GP series, securing 5 wins and 4 pole positions with Super Nova Racing. For 2014, Karthikeyan has signed up with Team Impul, to race in the Japanese Super Formula series. Midland F1 Racing was a Formula One constructor and racing team. It competed in the 2006 Formula One season with drivers Christijan Albers and Tiago Monteiro. The team was created by the renaming of Jordan Grand Prix after its purchase by Canadian businessman, and owner of the Midland Group, Alex Shnaider. The team was registered as the first Russian Formula One team, reflecting Shnaider's roots, although it continued to be based in the United Kingdom, at Jordan's Silverstone factory. Towards the end of the 2006 season, the team was sold to Spyker Cars N.V.; the team raced in its last three Grands Prix under the official name Spyker MF1 Racing. In 2007, the team competed as Spyker F1, and in 2008 was sold to Indian businessman Vijay Mallya and was renamed Force India F1. Tiago Vagaroso da Costa Monteiro is a Portuguese professional racing driver. He drove for Jordan Grand Prix, Midland and Spyker MF1 teams—all different iterations of the same team as it was bought by new owners during a two-year stint as part of the Formula One paddock. He is the only Portuguese driver to have scored a Formula One podium finish. Alexandre Prémat is a multiple-championship winning French racing driver. He currently drives for DJR Team Penske as a co-driver alongside Scott McLaughlin in the Pirtek Enduro Cup series. The 2007 FIA Formula One World Championship was the 61st season of FIA Formula One motor racing. It featured the 2007 FIA Formula One World Championship, which began on 18 March and ended on 21 October after seventeen events. The Drivers' Championship was won by Ferrari driver Kimi Räikkönen by one point at the final race of the season, making Räikkönen the third Finnish driver to take the title. An appeal by McLaren regarding the legality of some cars in the final race could have altered the championship standings, but on 16 November, the appeal was rejected by the International Court of Appeal, confirming the championship results. Räikkönen entered the final race in third position in the drivers' standings, but emerged as champion after the chequered flag, a feat first accomplished by Giuseppe Farina in 1950. It has since been accomplished again, by Sebastian Vettel, in 2010. Super Aguri F1 was a Formula One team that competed from 2006 to 2008. The team, founded by former F1 driver Aguri Suzuki, was based in Tokyo, Japan but operated from the former Arrows factory at the Leafield Technical Centre, Oxfordshire. The cars were referred to as Super Aguri Hondas, with the team functioning to some degree as an unofficial Honda 'B'-team. In Japan, public pressure persuaded Honda to help its former driver Takuma Sato to continue to compete in Formula One. This was influential in the creation of Super Aguri's F1 project and the engine supply from Super Aguri's parent company Honda. After participating in the championship for 2 years and 4 months, the team withdrew from F1 after 4 races in the 2008 season due to financial difficulties. Throughout the team's time in the sport, it scored 4 points. All of these were scored by Sato during the 2007 season. Markus Winkelhock is a German professional racing driver, who has taken part in one Formula One Grand Prix, which he briefly led. He is the son of Manfred Winkelhock and nephew of Joachim Winkelhock, both of whom were Formula One drivers in the 1980s. Having switched to sports and touring car racing, he has also won the FIA GT1 World Championship in 2012 with team-mate Marc Basseng. André Lotterer is a Belgian-German professional racing driver currently racing for Rebellion Racing in the FIA World Endurance Championship LMP1 class and for Techeetah in the FIA Formula E Championship. He competes with a Belgian licence, while representing Germany. He is best known for his success in endurance racing with the works Audi team, including three victories in the 24 Hours of Le Mans and the drivers' title of the FIA World Endurance Championship. He has also competed in the Japanese Super Formula series for over a decade, winning the title in 2011. Yuji Ide is a Japanese professional racing driver who graduated from 2005 Formula Nippon to Formula One with the Super Aguri team in 2006, but lost his FIA Super Licence during the season due to dangerous driving. Olivier Tielemans is a Dutch race car driver. His career started back in 1991 when he came 4th in the Dutch Kart Championship. Between 1995 and 1997 he raced in the Belgian Kart Championship and became Rookie of The Year. He didn't race again until 2002 when he raced in the Italian and European Formula Renault Championships. In 2003 he finished 4th in the Benelux Formula Renault Championship. In 2004 he competed in the last six races of the FIA Formula 3000 Championship. For the 2005 season he raced in the 3000 ProSeries. In 2006 he raced in the DTM with the Futurecom TME in an Audi A4. He was team mate to Belgian woman race car driver Vanina Ickx. He was replaced after 3 races because of problems with the management. In 2007 he raced in the WTCC for Alfa Romeo. Colin Kolles is a Romanian-German former team principal and managing director of the Hispania Racing F1 Team, previously holding a similar position at the team known under the names Jordan, Midland, Spyker and Force India from 2005 to 2008. He was an advisor to Caterham F1 and had a part in the unsuccessful Forza Rossa Racing project. Vitaly Aleksandrovich Petrov is a Russian racing driver who drove in Formula One for Renault F1 Team in 2010, Lotus Renault GP in 2011 and Caterham F1 Team in 2012. Born in Vyborg, he is known as the "Vyborg Rocket" in Russia. He was the first Russian to compete in the Formula One World Championship. The Spyker F1 Team, known as the Etihad Aldar Spyker F1 Team for sponsorship reasons, was a Formula One team that competed in the 2007 Formula One World Championship, and was created by Spyker Cars after their buyout of the short-lived Midland F1 team. The change to the Spyker name was accompanied by a switch in racing livery from the red and white previously used by Midland, to an orange and silver scheme—already seen on the Spyker Spyder GT2-R—orange being the national colour and the auto racing colour of the Netherlands. At the end of the 2007 season the team was sold and renamed Force India. Team Rosberg GmbH is a motor racing organisation that competes in single-seater and touring car disciplines in Europe. It was founded in 1994 by former Formula One world champion Keke Rosberg, of Finland. It is headquartered at Neustadt an der Weinstraße in Germany, and competes under a German racing license. Giedo van der Garde is a Dutch racing driver. He drove for the Caterham F1 team in 2013 and joined Sauber as a reserve driver in 2014. The Super Aguri SA05 was the car with which the Super Aguri team competed in the first half of the 2006 Formula One season. It originally was developed from the Arrows A23 designed in 2002 by Mike Coughlan. The 2009 Deutsche Tourenwagen Masters season was the tenth Deutsche Tourenwagen Masters season since the series' resumption in 2000. The series began on 17 May at Hockenheim and finished on 25 October at the same venue. Tomáš Kostka is a Czech racing driver, who lives in Beausoleil, Alpes-Maritimes. He currently competes in the Deutsche Tourenwagen Masters for Futurecom-BRT. The 2010 Deutsche Tourenwagen Masters season was the eleventh season of Deutsche Tourenwagen Masters since the series' resumption in 2000. The season began on 25 April at the Hockenheimring, and ended on 28 November at the Shanghai Street Circuit, after eleven rounds held in Germany, Spain, the Netherlands, the United Kingdom, Italy and China. Having finished second in 2008 and third in 2009, HWA Team's Paul di Resta became champion for the first time, having come out on top of a three-way title battle in Shanghai. There have been 16 Formula One drivers from the Netherlands who have taken part in races since 1952. Max Verstappen is the most successful Dutch driver, as the only one to have won a race, one of the two to have finished on the podium of a Grand Prix and the one to score most career points. 1 2 "Spkyer drops Albers". F1Racing.net, now GPUpdate.net. 10 July 2007. Retrieved 30 January 2011. ↑ Galloway, James. "Caterham Team Principal Christijan Albers resigns just nine weeks after joining". Sky Sports. BSkyB. Retrieved 16 September 2014. ↑ Baldwin, Alan. "Christijan Albers steps down as Caterham boss after just TWO months with struggling team as Manfredi Ravetto takes over". Mail Online. Associated Newspapers Ltd. Retrieved 16 September 2014. ↑ "Christijan Albers married his fiancee Liselore Kooijman". flagworld.auto123.com. 2006-11-15. Archived from the original on September 28, 2007. Retrieved 2006-11-15. ↑ "Albers re-signs with Spyker MF1", Grandprix.com article dated September 29, 2006. ↑ "autosport.com — F1 News: Gascoyne mystified by Albers' mistake". Autosport. Retrieved 2016-01-26. ↑ "Sack Albers, Lauda tells Spyker, FIA". homeofsport.com. 2007-07-03. Archived from the original on 2007-07-30. Retrieved 2007-07-10. ↑ "Christijan Albers loses Spyker drive". ITV Sport. Archived from the original on 6 March 2008. Retrieved 5 March 2016. ↑ "Winkelhock name to return to F1". news.bbc.co.uk. 2007-07-18. Retrieved 2007-07-18. ↑ "Albers returns at Spyker next week". gpupdate.net. 10 August 2007. Retrieved 30 January 2011. ↑ "Caterham to continue racing as sale is confirmed". f1fanatic.co.uk. 2 July 2014. Retrieved 2 July 2014. ↑ "Albers returns to DTM". f1.gpupdate.net. 11 December 2007. Retrieved 30 January 2011. ↑ "Christijan Albers Confirmed At Futurecom TME". dtm.de. 2008-04-05. Archived from the original on August 15, 2011. Retrieved 2008-04-05. Wikimedia Commons has media related to Christijan Albers .